As you can see, it's on the port side of the baggage compartment platform, behind the rear seat. 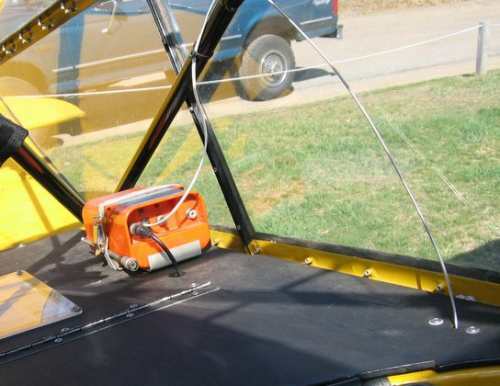 The antenna comes up through the same platform and is secured with a plastic wire-tie to a frame member. 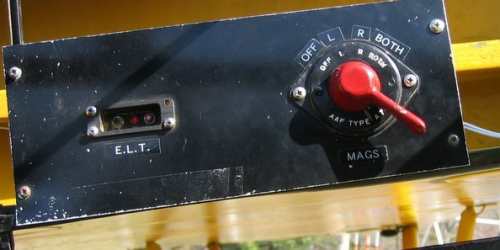 The control switch for the ELT is mounted on the panel for the mag switch, where it can be reached from either the front or the rear seat.